The Oregon Shakespeare Festival announced plays for its 80th anniversary 2015 season today. As always, the most exciting aspect of any OSF season is finding out what newly commissioned world premieres are in store. With the country’s largest acting company at the ready, and strong producing partnerships stretching from Ashland all the way to Broadway, OSF is uniquely positioned in the American theatre eco system to nurture and champion important new plays. The question then becomes – which writers get the nod? From OSF’s American Revolutions: The United States History Cycle, a visionary, ten year (2008-17) initiative which aims to commission up to 37 new plays about moments of change in American history, the news this year is fantastic. 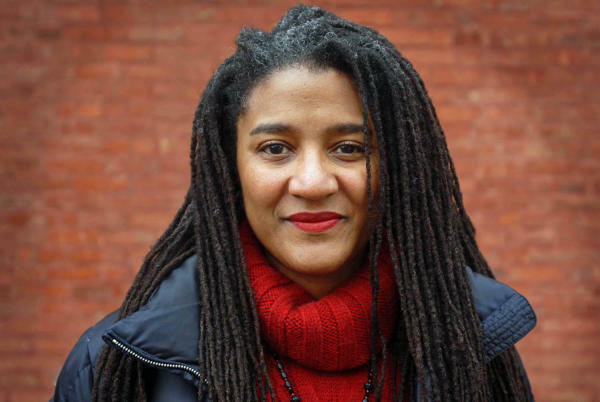 Though AmRev’s track record to date has been mixed, it is thrilling to learn that 2015 will feature a world premiere by the astonishing Lynn Nottage (@LynnBrooklyn). Dodging the artistic dead ends of whimsy, wackiness, “magical realism”, and manic profanity that entrance so many of her contemporaries in the American theatre, Nottage is the real deal and writes plays that matter. As good playwrights must be, she is an activist deeply engaged with the world. A new work by this talented Brooklynite is national news, and Oregonians are extremely lucky to be among the first to see it. It’s like this: A world premiere by Lynn Nottage is coming to OSF in 2015. BOOM! The play is set at the end of the last millennium. A group of close friends share everything: drinks, secrets, love and laughter. But their world is upended by a shake-up at the steel plant where they work and an unspeakable act that has repercussions over two generations. SWEAT is actually one of several plays Nottage is writing based on her experience and interviews in Reading. As previously noted here, the playwright recently received a $50,000 grant from the Joyce Foundation to undertake her research for this play. Find out more on her web site. So put SWEAT by Lynn Nottage, which opens in OSF’s Bowmer Theatre in July 2015, on your calendar. What else is on in 2015 in Ashland? Eugene O’Neill’s marathon LONG DAY’S JOURNEY INTO NIGHT will play in the small Thomas Theatre. There’s a new musical with a book by Jeff Whitty (and music by the Go-Go’s). There’s some Shakespeare (three plays identified so far). Mary Zimmerman is directing GUYS AND DOLLS. And there’s one play yet to be announced. And strangely, OSF is staging the clunky 19th century melodrama that nearly drove Eugene O’Neill’s father, actor James O’Neill, insane after he performed the lead role 4,000 times over 30 years – THE COUNT OF MONTE CRISTO by Dumas. But maybe this play was necessary to give us Gene.